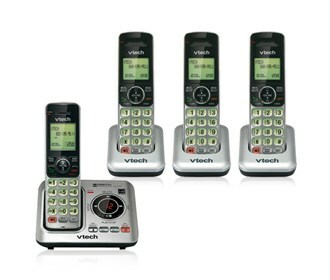 The VTech CS6429-4 is the cordless phone comes with three extra handset. This phone comes equipped with DECT 6.0 digital technology which delivers excellent sound, enhanced security and range. Moreover it features interference free crystal converastion-wont interfere with wireless network and other electronic devices. The phone is expandable up to 5 handset using only one phone jack. The CS6429-4 can easily store 50 name and number. With just the touch of a button, hands-free conversations are made easy with the handset speakerphone. The phone has additional features like volume control, digital answering system—no tapes or moving parts and tri-lingual menu setup. 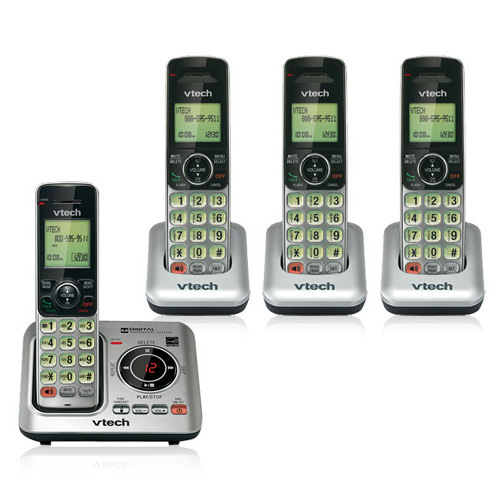 The VTech CS6429-4 has many exciting features for users of all types. 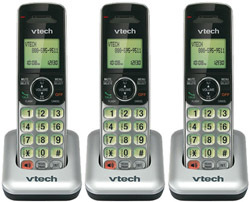 You can extend the lifetime of your VTech CS6429-4 with the purchase of a FactoryOutletStore Factory Protection Plan. 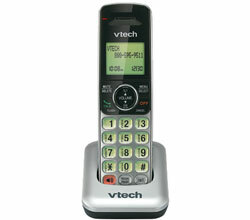 See the VTech CS6429-4 gallery images above for more product views. 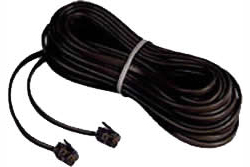 FactoryOutletStore stocks a full line of accessories like 25 Foot Black Line Cord, BAT-6010, and Extra Handset for the VTech CS6429-4. The VTech CS6429-4 is sold as a Brand New Unopened Item. Have used this phone for years 8 plus with no problem. It is a good phone, but I do not know how to retrieve my messages. 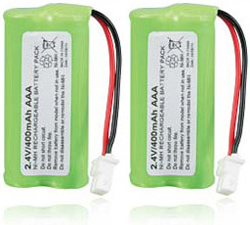 Crystal clear voices are the norm, despite a lot of wireless signals flying around our house. Digital answering machine and caller ID work as expected and phone operation is straightforward and directions are not difficult. Overall, these are very good phones and answering machine for the price.